Two House committee chairman are investigating whether the Obama administration politicized the sequester by making unnecessary cuts to the Federal Aviation Administration. Darrell Issa (R., Calif.), chairman of the House Oversight and Government Reform Committee, and Bill Shuster (R., Penn. ), chairman of the House Transportation and Infrastructure Committee, sent a letter to Transportation Department Secretary Ray LaHood requesting documents related to the department’s implementation of the mandatory budget cuts that came into effect last month. The FAA is furloughing workers across the agency, including air traffic controllers, in response to sequestration. These furloughs will cause flight delays. The letter asserts the FAA might have the legal authority to avoid the furloughs by targeting the cuts more specifically instead of cutting all parts of the agency’s operations. "In fact, it appears that under current law the FAA has flexibility to implement the cuts to minimize the impact," the two chairmen write. "According to some members of the aviation community, the FAA did not try to mitigate the impacts to air travel by weighing the furloughs of more essential personnel, such as air traffic controllers, against less essential personnel so that more essential employees could remain at work," they write. The two chairmen are seeking information from the FAA, the Department of Transportation, and the White House regarding the implementation of the sequester. "Information has been brought to the Committee on Oversight and Government Reform alleging that at least some senior FAA officials believe that the agency has both the resources and budgetary flexibility to avoid the furloughs," the chairmen write. 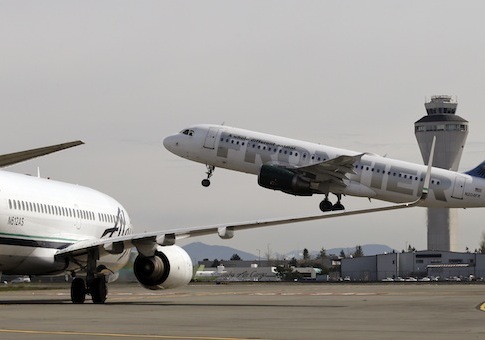 The FAA and DOT defended their implementation of the cuts in a statement emailed to the Washington Free Beacon. "The FAA has already shifted funds within accounts to avoid furloughs, while maintaining our safety standards and minimizing the impact on the traveling public," LaHood and FAA administrator Michael Huerta said in the statement. "However, the FAA is not permitted to transfer funding across accounts and 70 percent of its operations budget is for personnel, so in addition to cutting contracts, stopping funding for low traffic towers and reducing travel, the FAA still needs to furlough its 47,000 employees to achieve these congressionally required cuts." The Obama administration was accused of politicizing the budget cuts by making doomsday predictions about their effects. For example, Secretary of Education Arne Duncan said teachers were being laid off due to the cuts even before the cuts had been implemented. The Washington Post subsequently ruled his assertion false. Secretary of Homeland Security Janet Napolitano said after the cuts went into effect that airports were already seeing significant delays. Airport officials contradicted Napalitano’s statement, reporting no delays. This entry was posted in National Security and tagged Congress, Darrell Issa, FAA, Janet Napolitano, Obama Administration, Ray LaHood, Sequestration. Bookmark the permalink.